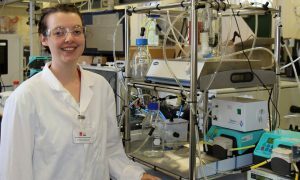 Rhiannon Chalmers-Brown has returned to study her PhD at the University of South Wales, having initially studied BSc Chemistry at USW. 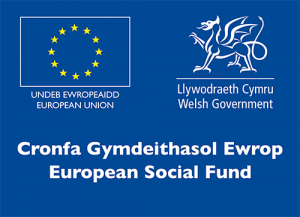 She was encouraged by her research supervisor Richard Dinsdale to apply for the KESS 2 scholarship, as she has a keen interest in renewable energy and the environmental sector in general. 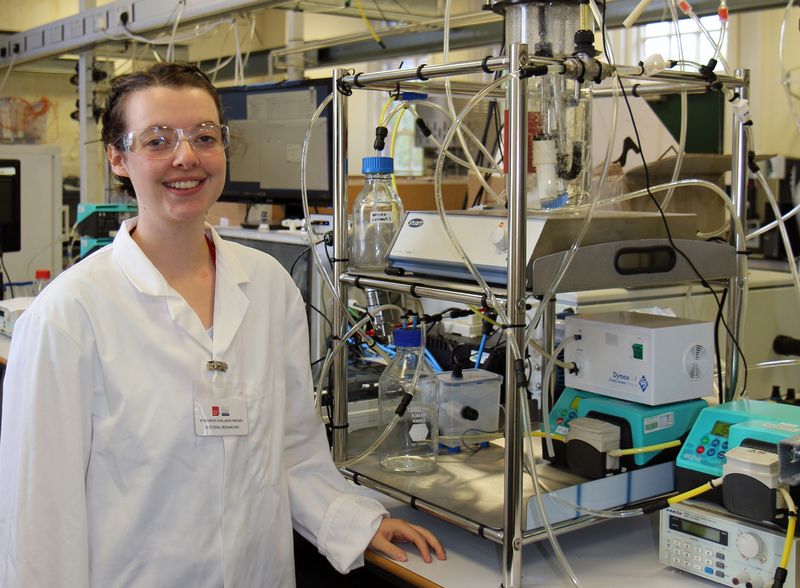 Rhiannon started her project, Biorefining of Waste Gases from Steel Manufacture, in January 2017 and hopes to complete her PhD in 2019. Working with the Tata Steel plant in Port Talbot, Rhiannon aims to take waste gases produced during the steel manufacturing process and turn them into useful products. Tata Steel asked Rhiannon to find a way of helping to reduce their emissions. She said: “Steel manufacture produces a lot of waste gas which is being released into the atmosphere, in the form of carbon dioxide and carbon monoxide, and therefore contributing to global warming. 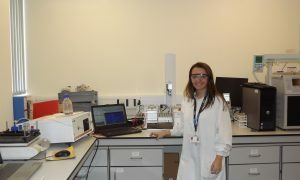 Rhiannon has built a reactor for the project entirely from scratch, learning how to use specialist computer software as well as gas chromatography to check the levels of gases it produces. 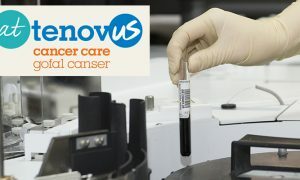 The next step of her research will be for the reactor to produce acetic acid, before optimising the process. 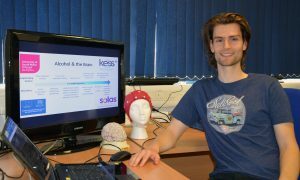 “I would definitely encourage more research students to apply for the KESS funding,” she added.